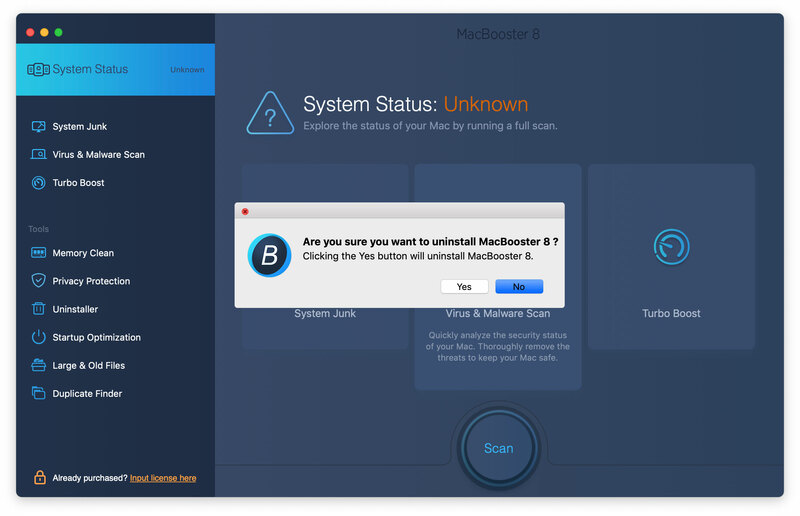 How to Uninstall MacBooster 7 from your Mac? 1. Open MacBooster 7 and click "Help" on the top menu bar > "Uninstall MacBooster 7". 2. A dialog box will appear, asking you to confirm. 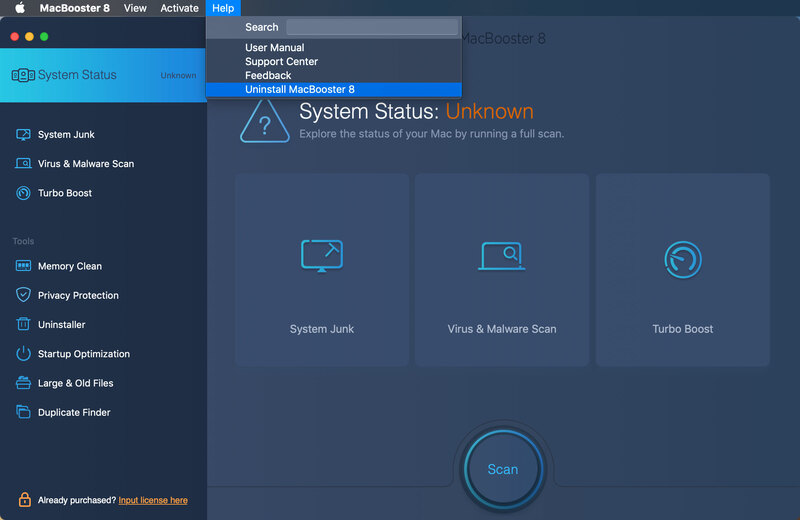 Click the "Yes" button to uninstall MacBooster 7. 3. MacBooster 7 is uninstalled completely from your Mac Now.